Following the articles about the D.C. Holocaust museum’s reaction to Pokémon Go, it struck me how very differently game-theory people and other people react to what’s going on with this game. The spots in the museum have been targets in another game (Ingress) for a few years, apparently without incident. Hundreds of thousands of people play that game, and many have played it inside the museum. But Pokémon is a very different sort of game. It is much more popular, and appeals to younger people, and unlike a game that is essentially a game-ified version of Geocaching, Pokémon is lighthearted and people are excited about it because it is new. The original game was intended to get people out, walking, seeing things they might never otherwise see in their communities or around the world. It has worked that way for me. I’ve spent time looking at art, and buildings, and historical places that I never knew existed because first Ingress, and now Pokémon Go have drawn me out to do those things. I know people who have lost weight, met friends, and improved their mental health playing. The spots that appear now in Pokémon Go appeared first in Ingress. Most of them have been submitted by players, people exploring their world and wanting to draw particular attention to meaningful places. That’s how the spots inside the Holocaust Museum came to be. I would warrant that the museum has benefited from visitors seeking those game spots, and they are apparently so benefiting now. But the important difference I’m seeing is that the challenge the museum is facing made me think “great! People are visiting a place with so much to teach them because of the game! Now, how should they take the next step to encourage appropriate behavior from those visitors?” In other words, “how could the museum gamify getting the behavior they want from visitors instead of the behavior they don’t?” Quiet, respectful behavior and attention to the exhibits presumably. When I was in Milan, one of the official pamphlets from the Duomo had information for Ingress players about a mission there. One of the most famous cathedrals in the world, a historical wonder intended for silent, respectful contemplation of God, used a game to get more people to visit and to get them to see the best parts of the church. That surprised and impressed me, of all of the places I would expect to clamp down on frivolous things or modern things, instead they embraced the possibilities. Right now HORDES of people who are friendly, interested, and monumentally willing to learn and be influenced to positive behavior are available to the Holocaust Museum (and every other significant site on the planet from the North Pole to the South). “Get out” isn’t going to work. “Don’t play” won’t be a thing. The only way to make that happen would be to ban cell phone use, and even that would be iffy. (Do they know about smartwatches and glasses and rings and every other morphology of technology that people will employ to achieve their objectives? Have they MET people?) But “if you are respectful and appropriate we will reward you with a path that gets you your game objectives” would work beautifully. It would get them more visitors and get those to pay attention to the museum’s educational objectives. Win-win. The game-theory holy grail. Thinking through that, in their place I would contact Niantic and ask them to stop spawning Pokemon in the exhibit areas. The main problematic behavior seems to be people “chasing” (probably slowly turning and stepping in odd directions) Pokémon. Stopping the spawns would make that stop. Instead, spawns in a gathering area where people wait for their friends, or in the gift shop, would benefit the museum, and would benefit people waiting. The game points inside (Pokéstops) I would leave. Those attract people to see parts of the museum that they might otherwise miss. They have information about those spots. And they aren’t disturbing anyone (because they are not different than the Ingress portals that have not disturbed anyone for years). When I was young, my parents went to enormous lengths to expose me to culturally and historically-significant places. 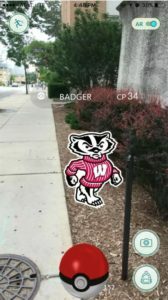 If Pokémon Go had existed then, I would have appreciated that so much more. I had (and still have) what others might describe as “a short attention span.” (It’s long enough to do what I need to do, just not long enough to tolerate wasted time). Having a game on hand to absorb minutes or more waiting for other people to finish their experience keeps me from getting grumpy. Children everywhere work the same way. I personally prefer to visit museums in which people are not grumpy (especially children, and especially me). I understand the reactions of people who think that playing a game is disrespectful. I disagree, of course, but I understand. But I also know that neurodiversity is a thing. That people experience life differently. That all of the “put your phone away and experience life” in the world doesn’t create a positive response or a meaningful experience. Has anyone NOT been that sullen child forced to “experience” what we are told to? I just sat last night at a Pokéstop in a place I see every day. That stop is a sculpture I’d never seen before, tucked away in back of a building. I would not have experienced it but for the person who submitted it as a “portal” in Ingress because they loved it, and but for Pokémon Go and the “lure patch” some other player applied to that stop. Those people invited me to experience something they found meaningful, and I was delighted to share in that. I was very able to calmly and quietly play my game and appreciate the moving work of art. That has been my observation of Ingress, and if Pokémon gets more people to see their world more thoroughly, (plus the other positive benefits,) I’m going to frown hard at “don’t play here” responses based on non-players assumptions about what players are thinking. I am sorry for people whose peaceful reflection can be disrupted by someone else silently looking at their cell phone, but I don’t feel at all obliged to put mine away for their comfort. If that phone has drawn me to a place, I am entitled to my experience. My experience is not “disrespectful.” That is other people’s mistaken interpretation of what is happening in my head. If a place chooses to forbid me to use the thing that probably got me there in the first place, then I will pass along to the next place. Washington D.C. is a deeply rich city that I could not experience all of with years to do it. To each their experience. If Pokémon Go players are being inappropriate, then they should stop, and the Museum should certainly ask them to behave properly for the benefit of others there. I think that the Museum could find ways to benefit, as so many other places of cultural significance have done. This is a new kind of thing, and clearly not going anywhere. We have the opportunity right now to find ways to cultivate it positively and set expectations. It is a VERY exciting time. I hope that most places faced with the dilemma we’re hearing about will find ways to make a win-win out of it. Author aravenPosted on July 13, 2016 July 14, 2016 Categories Games, Is It Legal?, Uncategorized2 Comments on Should Pokémon Go? I am officially a Notary Public in the state of California – I just earned my commission this month. Like any other profession, being a notary requires having the right gear! Here’s a quick list of the essentials. I wanted a modern take on the traditional brief, so I went with this Samsonite model. There’s a strange pen-case holder on the inside which is not that useful unless you take out the insert, but other than that I have no complaints. The best feature is the writing surface flap, which seems to be totally unique among all briefcases I researched. 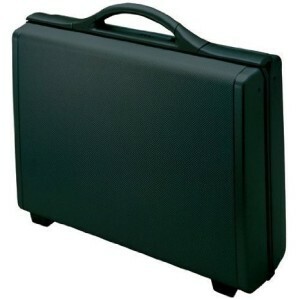 The case is deep enough for all my notary gear and stacks of documents, plus extras. Blue ink is the industry standard for loan signings now, and you need to always have a pen ready for your client. You’re going to lose a lot of these. 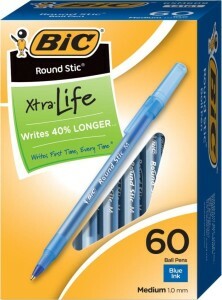 These BIC pens are reliable, blue, and cheap. Buy something more expensive for yourself, but these should be your default for clients. At about $.25 per pen, it doesn’t matter if they don’t give them back. A small notebook is indispensable when you are out doing mobile notary work – jot down phone numbers, addresses, special notes, or just a to-do memo. 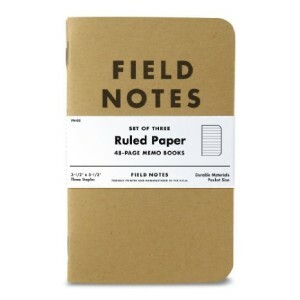 Field Notes is a great high quality brand, far more affordable than moleskines and less bulky. 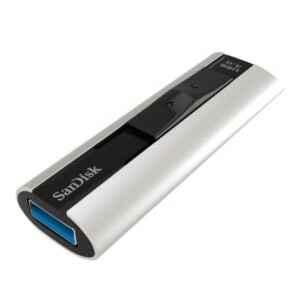 This is simply the fastest USB 3.0 drive out there. It comes with a lifetime warranty, is built like a tank, and the slide-out mechanism for the plug avoids the hassle of caps. It looks gorgeous, too. I always recommend buying the maximum possible capacity you can afford, for longevity. Brother MFC printers have the edge on HP in terms of price and performance (print speed). 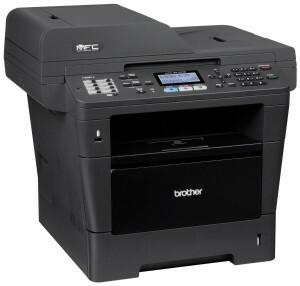 The advantage of an MFC is you get a scanner, copier and fax built-in, and the MFC8x series from Brother has a legal-sheet size scanning capacity so you are covered for any legal document you may need to scan or copy. 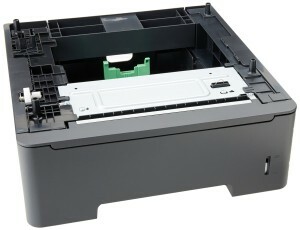 This is the cheapest model that has wireless connection and duplex printing; the next more expensive model has duplex scanning, which in my opinion is not worth the extra $50 in cost. The 8710 is at the sweet spot of price and essential business features, especially for notaries who do loan signings. Any notary doing loan signings will be printing a lot of documents in mixed letter and legal size format. A second tray dedicated to legal size paper will save you a fortune in the long run so you arent printing letter-size documents on legal, or wasting time switching trays back and forth. This is a solid investment in efficiency and long-term cost savings. Indispensable tool to make sure you get to where you are going for notary clients and loan signings. 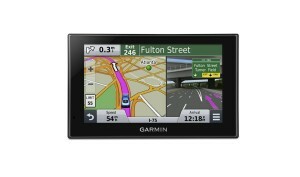 Garmin is the industry leader and has the simplest interface in my opinion, making it easy and intuitive to use. This is the cheapest model that includes lifetime traffic and map updates, no extra subscription fees required. If you don’t already have it, you need it. Every small business needs to have this. 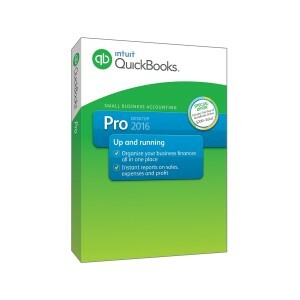 It far cheaper than an accountant, and consolidates every financial aspect of your business, from billing and invoices to expenses and sales.